If you are interested in how the new Microsoft Kinect motion device (Previously Project Natal) is put together the crew over at T3 have been invited by Microsoft to show how Kinect works, and the work that’s gone into it. The movement tracking is tracked via a IR VGA camera and a laser that is projected across the field of play to track player movements. The camera uses ‘depth field.’ and filters to distinguish players from furniture and bodies appear a bright shade of red, green and things further away appear grey. For voice recognition Kinect has an ‘acoustical model’ for countries and individual regional dialects, built from 100s of hours of actors from round the world talking through various sayings. 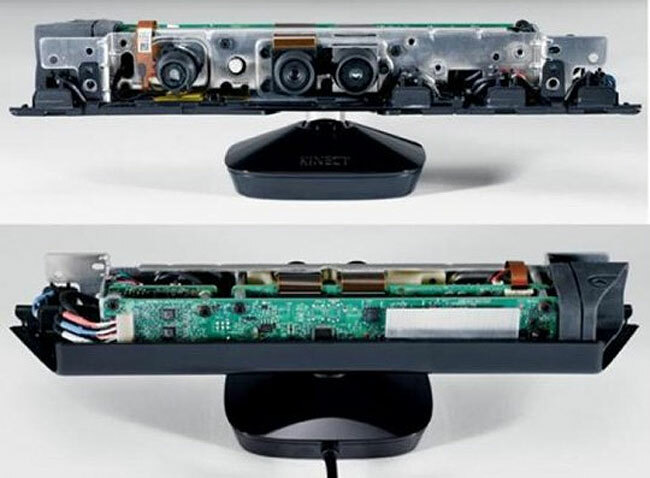 The final part of Kinect’s technology is its motor. That controls the camera and allows it to move up and down to calibrate to each specific gaming space. For more information check out the T3 website for more photos and details.